Nutrisse Colorant: Aqua/Water, Cetearyl Alcohol, Deceth-3, Propylene Glycol, Laureth-12, Ammonium Hydroxide, Oleth-30, Lauric Acid, Hexadimethrine Chloride, Glycol Distearate, 1-Hydroxyethyl 4,5-Diamino Pyrazole Sulfate, Ethanolamine, Polyquaternium-22, Silica Dimethyl Silylate, 4-Amino-2-Hydroxytoluene, Ci 77891/Titanium Dioxide, 5-Amino-6-Chloro-O-Cresol, P-Aminophenol, Ascorbic Acid, Sodium Metabisulfite, Dimethicone, Pentasodium Pentetate, P-Phenylenediamine, Parfum/Fragrance, Carbomer, Vitis Vinifera Seed Oil/Grape Seed Oil. F.I.L. D36929/3. Fruit Oil Concentrate: Paraffinum Liquidum/Mineral Oil, Vitis Vinifera Seed Oil/Grape Seed Oil, Parfum/Fragrance, Tocopherol, Rosmarinus Officinalis (Rosemary) Extract. F.I.L. D25829/5. Rinse-Out Conditioner: Aqua/Water, Cetearyl Alcohol, Elaeis Guineensis Oil/Palm Oil, Behentrimonium Chloride, Pyrus Malus Extract/Apple Fruit Extract, Glycerin Parfum/Fragrance, Stearamidopropyl Dimethylamine, Niacinamide, Pyridoxine Hcl, Butyrospermum Parkii Butter/Shea Butter, Citric Acid, Olea Europaea Oil/Olive Fruit Oil, Saccharum Officinarum Extract/Sugar Cane Extract, Benzyl Alcohol, Chlorhexidine Dihydrochloride, Persea Gratissima Oil/Avocado Oil, Ribes Nigrum Oil/Black Currant Seed Oil, Linalool, Citrus Medica Limonum Peel Extract/Lemon Peel Extract, Ci 19140/Yellow 5, Camellia Sinensis Extract/Camellia Sinensis Leaf Extract, Ci 15985/Yellow 6. F.I.L. D35637/3. Nutrisse Developer: Aqua/Water, Hydrogen Peroxide, Cetearyl Alcohol, Trideceth-2 Carboxamide Mea, Ceteareth-25, Glycerin, Pentasodium Pentetate, Sodium Stannate, Tetrasodium Pyrophosphate, Phosphoric Acid. F.I.L. D12836/26. Rated 4 out of 5 by Melinda44 from Great color Love the color only thing is the conditioner is very small amount and hard to get out. It needs to be in a tube or packet . Rated 5 out of 5 by maggiel10 from I did not get this exact color but this hair dye leave my hair soft and feels as if there has been no damage. Absolutely love this brand. Most brands makes my hair feel damaged and frizzed out. I would definetly buy again. Rated 4 out of 5 by jalene1310 from This product was easy to put on and was also easy to get out of my hair with a hair color remover. 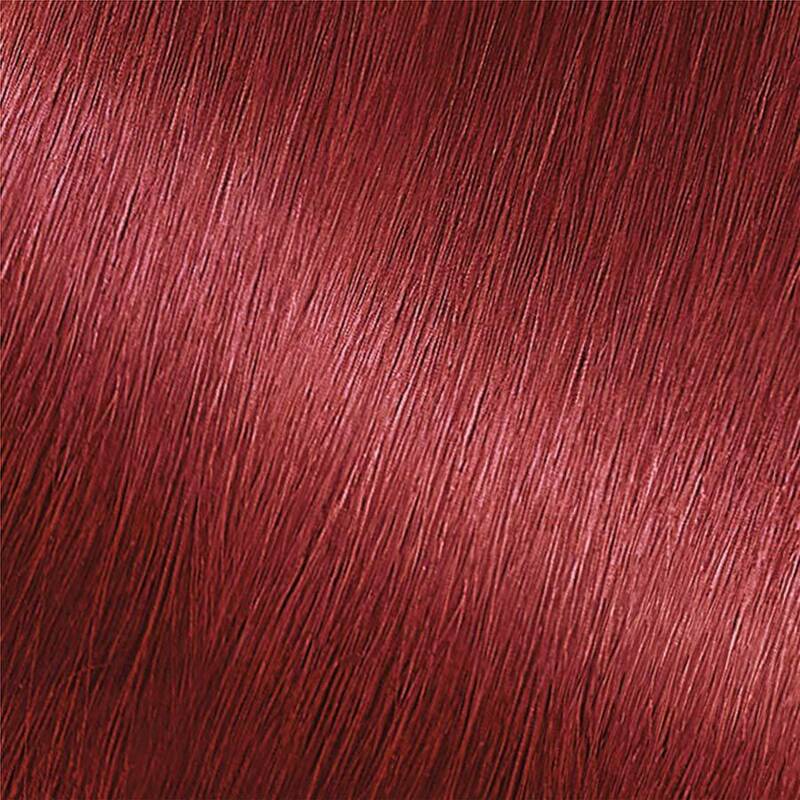 It did not damage my hair and would recommend this hair color for its affordable price. My color was shiny and dimensional. I was very satisfied with this product. Rated 5 out of 5 by megank16 from My hair was brown, and this made it Auburn. Great product for the price. I usually buy the professional stuff, but this doesn't damage the hair as bad as the other drug store type dye kits. It doesn't smell like a science lab, and it doesn't burn your scalp. Overall, it's a nice product. Rated 1 out of 5 by franceso1 from I purchased this color normally like blonde colors. I wanted to try another look but wasnt happy and went back to a blonde color.